ICONIC is a new series written by Claire Halloran about historical feminist writers. 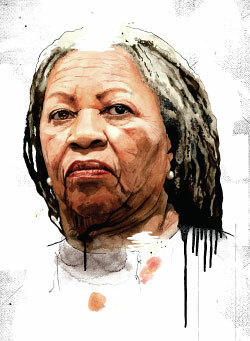 The first installment discusses influential author Toni Morrison. A new installment will occur on the second Monday of each month. The high school English curriculum can seem exhaustingly bland. When my teacher pulled out Beloved from the back cabinets of our class room, I sighed. While I enjoy literature, I knew that the beginning of Beloved meant the beginning of five page papers and Scantron exams. When I got my hands on the 324 page hardback book my eyes widened after reading its description. Without spoiling anything for you, Beloved tells the history of an ex-slave who's house is haunted by the daughter she once had to kill. As a formality, before we start a novel in my class, my teacher gives us a brief background of the author. Ten minutes of discussing Morrison's past was not enough for me, which is how I found myself pages deep in several of Morrison's biographies and interviews. Toni Morrison is a powerful influential author who's feminist power burns bright. Born in 1931 under the name Chloe Anthony Wofford, Morrison grew up with a love of reading and folklore, which is evident in her work. Morrison is heavily influenced by my personal favorite feminist author, Virginia Woolf, and author William Faulkner. Her name appears aside these authors in a majority of high school English curriculums. In her teen years, Morrison noted the heavy discrimination she faced due to the fact that she was African American. She then began to use her writing as a weapon against racial discrimination. In 1970, Morrison published her first novel titled The Bluest Eye, about a young black girl who wished for blue eyes. Although it did not sell well in its time, readers now see that Morrison came at the writing world with full force. Morrison went on to publish increasingly successful books such as Sula and Song of Solomon. In 1987, Morrison published Beloved. It went on to win the Pulitzer Prize, and 6 years later she was awarded the Nobel Prize in Literature. 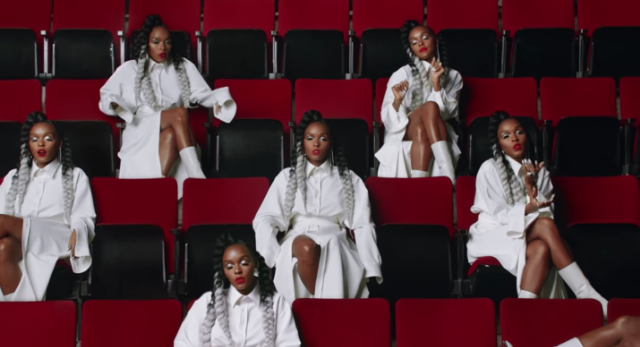 While many critics filed Morrison's writing under post-modern feminism, Morrison herself does not believe in categorizing her writing to any one variety. She does assure her readers, however, that she "doesn't subscribe to the patriarchy". In an interview with Zia Jeffery, Morrison states that she never ties her writing to any one category because, "Everything I've ever done, in the writing world, has been to expand articulation, rather than to close it, to open doors, sometimes, not even closing the book – leaving the endings open for reinterpretation, revisitation, a little ambiguity." Morrison aims to rewrite the history that was originally dictated by mainstream historians. While Morrison is a phenomenal writer herself, she is also recognized for the work behind the scenes as an editor and publisher. Toni Morrison brings a hefty resume into the world of social justice. In 1967, she began working at Random House in New York, which is known for publishing an abundance of powerful works. While working there, Toni played an immensely important role in bringing black literature into the spotlight. Morrison edited works by radical feminist Angela Davis and is well known for editing The Black Book. In 12th grade AP Lit, when your teacher passes out copies of Beloved, do not fret. It turns out there is actually a good reason they are making you read it. Who would have thought? Learning about feminism in school? Apparently! Toni Morrison is a hauntingly powerful writer and while dissecting each and every word she writes might seem a bit tedious, it will be worth it. When you do finish Morrison's novel and realize what a masterpiece it is, your teacher will have you hand in your books. You will sit for about ten more seconds before he leaps up, claps his hands, opens the cabinets in the back of the room, and takes out To The Lighthouse by Virginia Woolf. It turns out that book won't be so bad either. The next installment of ICONIC will be December 14th, and we will be discussing the feminist influence of Virginia Woolf!